From late December through early January, millions of students nationwide will spend several weeks enjoying winter break. This is a time for young people to have a well-deserved break, recharge their personal batteries and celebrate the holidays (ever so briefly) without the burden of class and homework. Yet this also means that many young kids will spend their days without the supervision they are otherwise accustomed to, which can prove potentially dangerous. 1. Phone a friend: If your child is going to be alone for the bulk of the day, it’s a good idea that he or she have several emergency contact numbers. These include 911, poison control and, if applicable, the number for firefighters. Your child should also have a number to reach you, and if you’re unavailable, a second line for another family member or close adult friend. If your child is old enough, he or she may also be adept at texting, which is another useful communication option. 2. Avoid stranger danger: Even with a well-structured daily schedule, there are still risks related to inviting strangers into the house. Before winter break officially commences, take the time to sit down with your child and discuss this all-too-real concern. Make sure he or she knows how to answer the door every time. That means asking who is there instead of immediately opening up and not interacting with people he or she is not familiar with. If the child is ever unsure what to do in this instance, make sure her or she can call either you or the other emergency contact. 3. Make sure to plan ahead: Without the proper supervision, it’d be easy for most kids to while away the day watching cartoons or playing video games. But winter break doesn’t have to become a blur of electronic media, and it can instead be a period of continued intellectual stimulation. Give your child activities to occupy his or her time, like arts and crafts projects, an essay about what he or she learned in school or maybe thank-you letters to family. Regardless, the child is not only using this free time more effectively, but there is less a chance of injury. Winter break is fun, but children should know how to play it safe. 4. 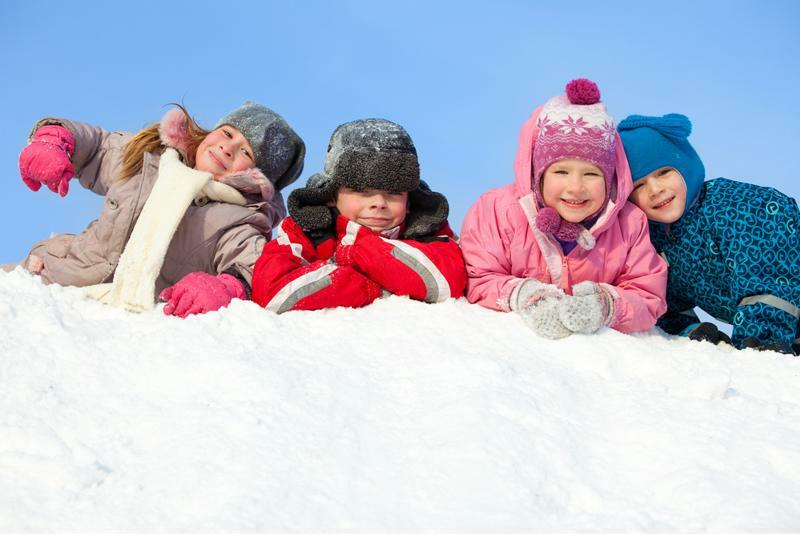 Limit play time: It’s only natural that your child would want to play with his or her friends during winter break. However, it’s important to consider what effect this could ultimately have on safety. Multiple unsupervised kids playing together only increases the risk for injury. If your child is going to play with others, have him or her do so at the house of a parent who is still around. Make sure that your child also checks in before going anywhere, and that he or she provides you with a name of the other parent and an accompanying phone number. 5. Clean it up: Before you go off to work each day, take a few minutes and do a run through of the house, or at least those areas your child will spend the most time. Move anything that might be flammable, like candles or matches. If there are large decorative objects or other pieces of furniture that might prove dangerous, move these and also have the child steer clear entirely. As an extension, impress upon your child the need to be extra safe. If he or she loves skateboarding in the house, it’s important to know the risks of doing so in an empty house. If anything does happen to your child during the day, you can always take him or her to a CareWell Urgent Care center. With facilities across the East Coast, CareWell can treat almost any minor injury. And while you’re there, make sure your child is up-to-date on his or her flu vaccination.